Meteorological Summer has come to an end and the final numbers are in. How did Colorado Springs and Pueblo fair? Let's take a closer look and see how the numbers break down. *Meteorological Summer is June, July and August. You are correct, it does not match up with calendar summer. Meteorologists split the year in to four equal section. Meteorological Spring is March, April, May. Meteorological Summer is June, July, August. Meteorological Fall is September, October, November. Meteorological Winter is December, January, February. Summer 2013 in Colorado Springs was a warm one. Officially, the city finished the summer 7.4° above normal. 67% of the days (62) were above normal. Interestingly, heavy rains also came with the warmer than normal summer. The city finished summer 2.25" above normal. 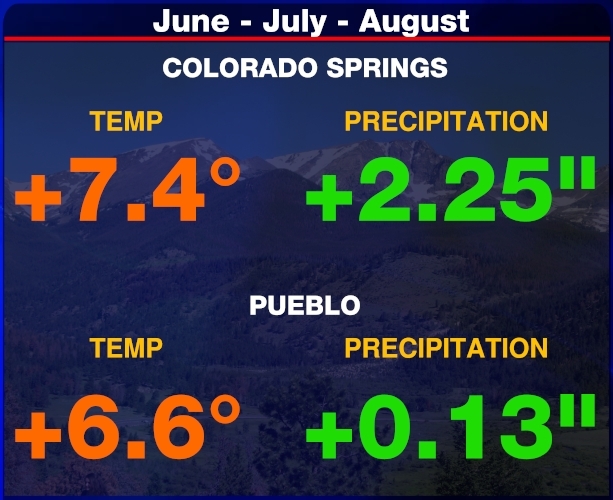 Similar to Colorado Springs, Pueblo had a warm summer. 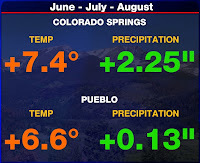 Officially, Pueblo finished Summer 2013 6.6° above normal. Sixty-three days were above normal (68%). The city also finished the summer above normal when it comes to precipitation. 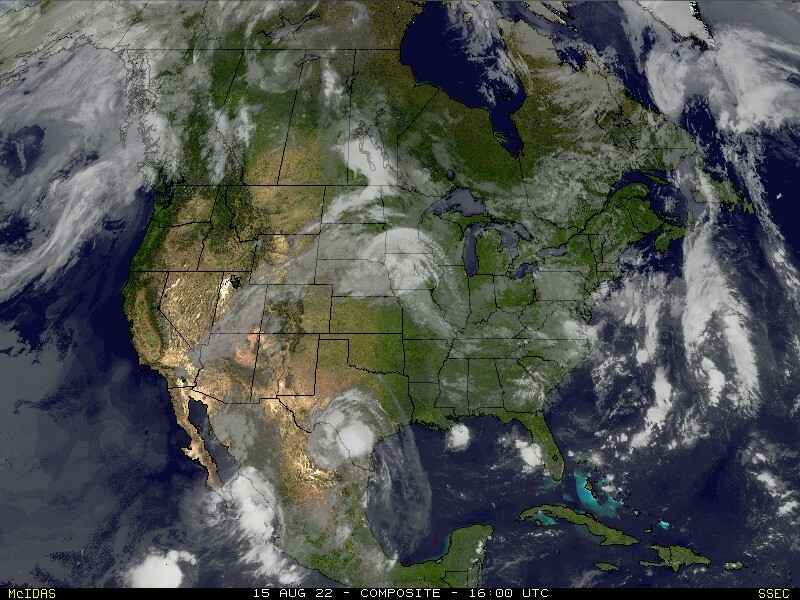 Officially 0.13" above normal.